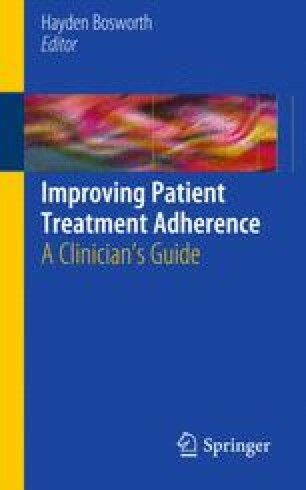 As reported in other chapters of this volume, the misuse of alcohol and other substances can contribute to treatment non-adherence across a range of medical and mental health service settings. In this chapter, our focus is specific to non-adherence in the context of treatment programs that directly target substance misuse and substance use disorders. In such treatment settings, problems with adherence are prevalent and, as elaborated below, significantly impact treatment outcomes. Willenbring M. Alcoholism isn’t what it used to be: new research on the nature and diagnosis of alcohol use disorders. NIAAA Videoconference Series http://https://webmeeting.nih.gov/p27471408/. Accessed May 7, 2009. National Institute on Drug Abuse. 2008 NIDA InfoFacts: Nationwide trends. http://www.drugabuse.gov/infofacts/nationtrends.html. Accessed May 7, 2009.